Looking out into space takes you back in time. 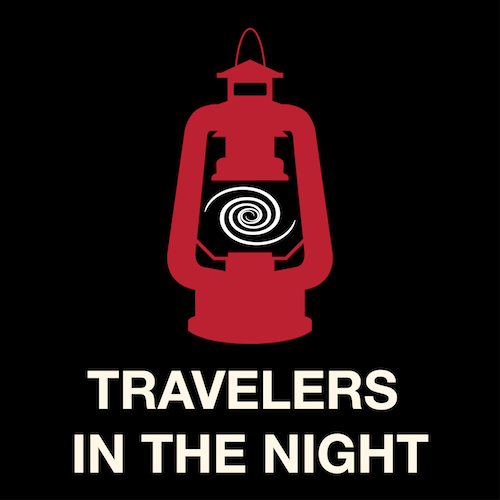 To experience time travel go to a natural night sky location like the Cosmic Campground International Dark Sky Sanctuary or another location on the darksky.org website. When you view the Moon you are looking back in time one and a quarter seconds since that is the time that it took for light to travel from the Moon to your eye. When Mars is at it’s closest on July 31,2018 it will appear to you as it was 3 min and 13 seconds earlier. The blue white bright star Vega in the summer triangle appears this year as it was 1993. The beautiful cluster of stars called the Pleiades will appear to you as it was in 1574 AD while viewing the red supergiant Betelguese in the constellation of Orion will take you back to 1375 AD when the light entering your eye left there. The farthest that you can go back in time without a telescope will be when you view the great Galaxy in Andromeda, or M31, some two and a half million light years away. If you want to delve further into the past you can use a pair of binoculars. 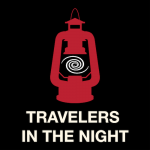 To embark on your time travel adventure, visit the International Dark Sky Association’s website, darksky.org, click on find a dark sky place and invite a friend to go with you. Bring a red filtered flashlight, star maps, binoculars, warm clothes, a lawn chair, snacks, and sit back and experience the wonders of the time travel with your very own eyes. My Catalina Sky Survey teammates Hannes (Ha-ness) Groeller and Richard Kowalski were observing in the constellation of Ursa Major when they discovered an unknown object streaking through the night sky. Strangely a few hours later our computers were unable to find it on follow up images. The plot thickened when Dr. Bill Ryan used the Magdalena Ridge Observatory’s very large 2.3 m telescope in New Mexico to discover that Hanness and Richard’s object is real but that had faded by more than two and a half times compared what it was on their discovery images. When Hannes and Richard reviewed their followup images they discovered that this peek a boo object is indeed real but so much fainter that our computer programs had failed to identify it. Additional observations from telescopes in Arizona, New Mexico and Germany showed it to change in brightness over a period of hours or less and allowed scientists at the Minor Planet Center to calculate it’s orbit around the Sun and give it the name 2018 KJ1. Unfortunately clouds moved in and the peek a boo asteroid became invisible as headed towards the Sun’s direction in the sky. Frustrated astronomers will just have to wait for another opportunity to determine if the peek a boo asteroid,is a strange, rare, rapidly rotating elongated object, or maybe one with hemispheres with greatly differing reflectivity like Saturn’s moon Iapetus, or perhaps even a very close binary asteroid.